One of our favourite nonnas’ sayings is the one linked to the last three days of January. According to the tradition, if it’s very cold on January 29th, 30th and 31st, spring will be sunny and warm from its beginning. On the contrary, if the weather is warm, spring will arrive late. These days are traditionally called “i giorni della merla” (the days of the blackbird) and the reason is uncertain. 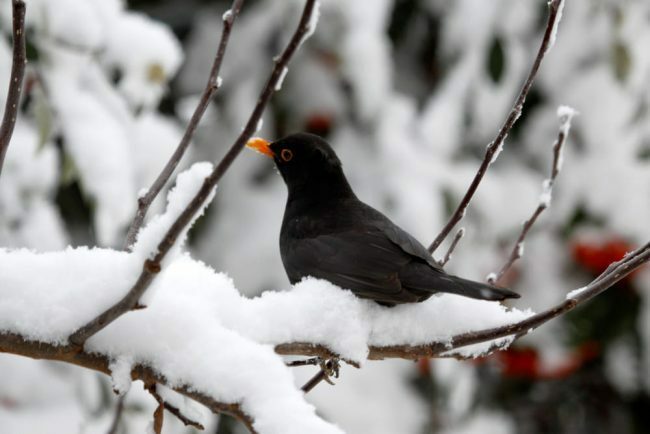 In Abruzzo, we believe that blackbirds were once white. But one winter the weather was so cold that a blackbird and her chicks had to take refuge in a chimney for three days (January 29,30 and 31). They came out on February 1st and their plumage had turned black. There’s no scientific evidence of January 29-31 being the coldest days of winter, but every year our grandmothers still hope it will be cold, so that spring will be here soon!